Well it is Wednesday and my training schedule this week has been totally rearranged already. Sunday night i was all set to go to bed early and get the week started off right then my roommate and i started chatting in our bonus room thing, which has no clocks, and finally i was super tired and called it a night thinking it was like 10:30pm……i walk into my room and the clock says midnight!!!!! Then Monday i went out on a date to a cider bar and ended up not getting home until past 10:30pm (google maps you let me down!!! it kept losing GPS every other minute….literally) then my roomates wanted some dish about the night so i once again i crawled into bed around 11:30pm or a little past. Not that big of a deal i figured i would just skip 1 weights this week and move my run to Wednesday morning. WEll this morning rolled around and my alarm went off at 5:30am, i snoozed it to 5:50am then made the executive decision to run tomorrow morning instead. I WILL get in my 3 runs this week, it just may be 3 days in a row. Thankfully my training is still low mileage enought that this shouldnt be a problem. My organics to you box came yesterday, i made fennel risotto for my lunch today, it was DELICIOUS!! 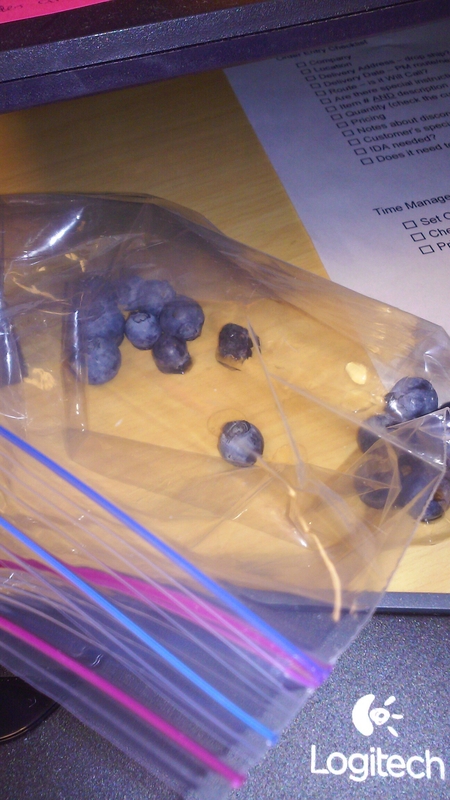 Munching on blueberries from my box. 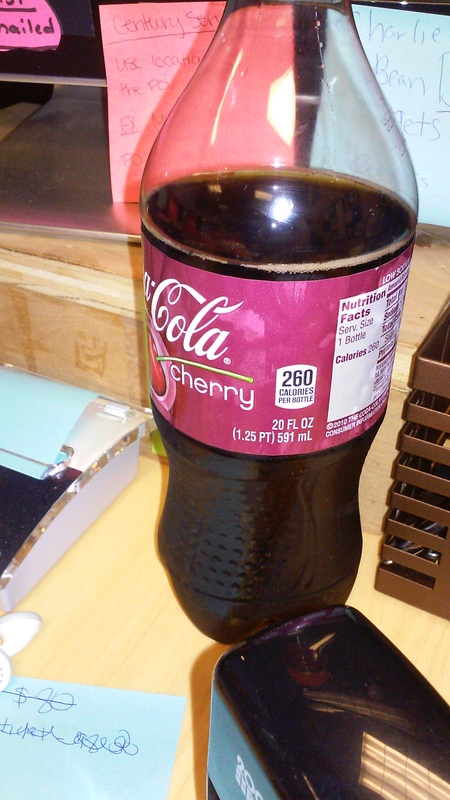 Needed a little pick me up today, work is so slow i was falling asleep. Between my roomate and i we are overflowing with zucchini and summer squash…..i gave 3 away to my coworkers today. I may be giving more away in the future lol. What do you do when your schedule gets thrown off? What is a good mid-afternoon pick me up for you?